The goal of distributing unique promotional products is to raise a business’ visibility. Consumers may use logo-emblazoned gifts in everyday situations and develop brand recognition, which can lead to new patronage. To truly capitalize on the potential of branded items, small businesses must find ways to make their giveaways stand out from the competition. Color is one of the most important features when it comes to drawing attention to certain items and making logos memorable to consumers. Choosing the best color for your promotional products isn’t an exact science. Different colors can have varying effects and evoke new thoughts from consumers, depending on their cultural backgrounds. The most important part of using colors on your promotional items is staying consistent. Intuit recently reported on a Loyola University study that showed that repeated use of the same colors can increase brand recognition by 80 percent. You must understand the potential effects various colors can have before associating them with your business. Here’s a look at some of the most popular colors and what emotions they can trigger in your consumers. Some colors are geared toward action and commonly associated with alertness. Red is frequently thought of as an aggressive shade, and it can help motivate your customers to make decisions. According to KISSmetrics, the color creates a sense of urgency and triggers a physical response similar to light exercise. Red is ideal if you want your customers to act quickly. For instance, if you emboss your phone number on your promotional pens, the color could influence your clients to call you sooner rather later. Smashing Magazine points out that red can quickly be overpowering, so it’s best to use it in moderation. If you’re trying to find new patrons, yellow may be the best color to associate with your business. In its purest form, yellow is one of the brightest colors and quickly attracts attention, which is a characteristic you want your promotional products to have in spades. When your giveaways stand out from other items, it increases the likelihood that consumers won’t lose or ignore your branded gifts. Additionally, yellow is commonly associated with warmth and happiness. 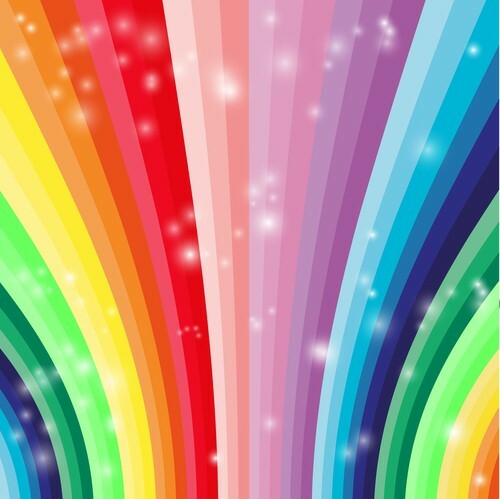 The color triggers mostly positive thoughts and effects, both of which can help your business. Consumers may associate your business with positivity, and this line of thinking can lead new customers to come through your doors. Some colors are used primarily to create an atmosphere. Black and white are mostly used in advertisements by companies that want to give themselves a sophisticated appearance. According to Branding Strategy Insider, this technique has been implemented on Jaguar’s website to create a certain level of prestige. Combining black and white on your giveaways can make your business appear sophisticated. Additionally, using a black background can help your white logos grab consumers’ attention so that they immediately recognize your brand. It’s difficult to ignore blue’s dominance in the cultural landscape. The color is seemingly everywhere, but using it in your advertisements doesn’t mean your brand will blend into the background. Blue isn’t an active color like red or yellow – instead, it causes consumers to linger. Using blue can encourage customers to hold onto your promotional giveaways. Blue also has many different shades that you can use to elicit distinct responses. A lighter hue can attract attention like yellow, while navy has similar qualities to black. Mixing and matching different shades can keep your promotional marketing products fresh so consumers can’t ignore your logos.